The inquest is examining the killing of 10 people in west Belfast in August 1971 by the British Army’s Parachute Regiment, five months before the Bloody Sunday massacre in Derry. Witness ‘C4’ was a 24-year-old serving British soldier in 1971 from England with a different regiment who had married a woman from Ballymurphy. He was in the area on leave at the time of the killings. He told the court he was present when Fr Hugh Mullan and Francis Quinn were shot and killed on waste ground near Springfield Park. He said he and others had been pinned down whilst trying to help women and children, including his own sister-in-law, escape across the waste ground. The witness said he saw two soldiers wearing red berets (Paratroopers) on the roof of Springmartin Flats firing SLRs (self-loading rifles). He had been practising on a British Army shooting range just the week before, he said, and was well aware of the sounds made by various weapons. He had seen British soldiers and their scout car move into the area. He said he watched Fr Mullan being shot and said the priest screamed “for some time”. Later, after the priest was hit a second time, the witness said he listened to him pray for a while in both English and Latin, before he died. He also said that a British Army major asked him not to testify at the inquest in 1972. In the interview, he said the soldiers later created “ghost gunmen” to justify having opened fire. “I was quite, not shocked, disgusted, by the fact that the soldiers did lie,” he said. 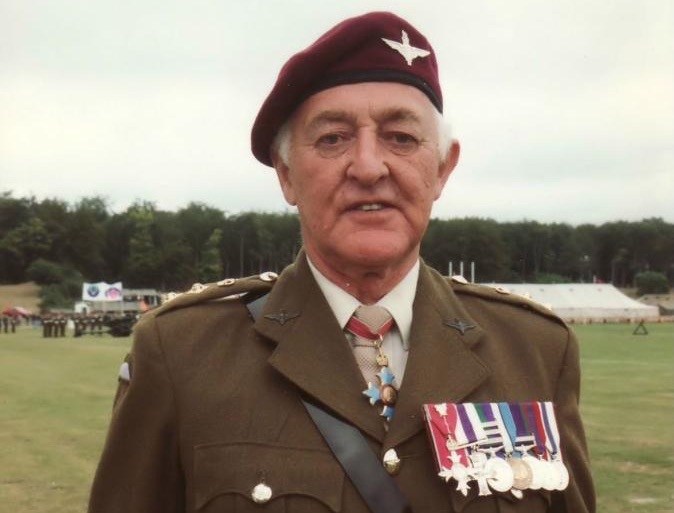 In earlier testimony over recent weeks, General Geoffrey Howlett (pictured), the former commander of paratroopers in Ballymurphy, repeated his belief that the people shot outside the base were not in the IRA, but that some may have been “associated” with the IRA. By “associated” he said he meant someone “in sympathy and helping them”. He accepted “the probability” that Fr Mullan was not associated with the IRA, but he said: “I do not believe he was shot on purpose”. He claimed that Frank Quinn, shot while beside Father Mullan and trying to help him, could still have been “associated with the IRA”. With family members expressing shock, the coroner asked the general how he could come to that view about association. He claimed that the IRA brought “first aiders” with them, but added that that did not mean they should be shot. The general then claimed the situation at the time was “almost warlike conditions”. The general was asked to comment on the death of Joan Connolly, a 44-year-old mother of eight whose eldest daughter was married to a British soldier. There had been upsetting scenes in court earlier as witnesses gave evidence about Mrs Connolly who had gone out to look for her daughters. Tommy Morgan, who is now 62, said he heard the mother of eight “crying, sobbing, frightened, terrified voice”. Mr Morgan said she shouted: “Someone help me please, I’m blind, I’m shot in the face, I can’t see,” before dying. General Howlett claimed she was not shot on purpose. “The shot or shots were fired deliberately but not necessarily at her,” he said. A former British Army major also told the inquest that the shooting dead of a Catholic priest was “good press”. The witness, known as Soldier M45 after being granted anonymity, was speaking of the death of Fr Mullan. He told the inquest that the killing of the priest would have a strong resonance with local Catholics who “would make what they could of it”.